4/26/12. There were scattered pockets of intense downpours in Seattle yesterday afternoon. 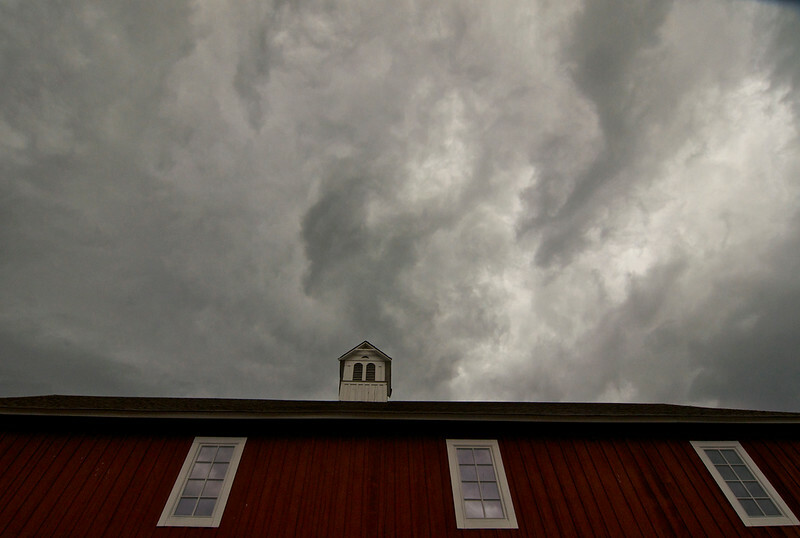 Caught this approaching squall over the Pickering Barn in Issaquah, just minutes before it arrived. Nice capture of the weather! That red building sets off those dramatic storm clouds perfectly...love the perspective! Very cool perspective, love the swirling effect of those awesome clouds! Great capture of the sky. Wow!! I like the effect this gives very neat image!